I thought it would be fun to spice up and vary the subject matter a little bit and add a little travel inspiration to the blog! 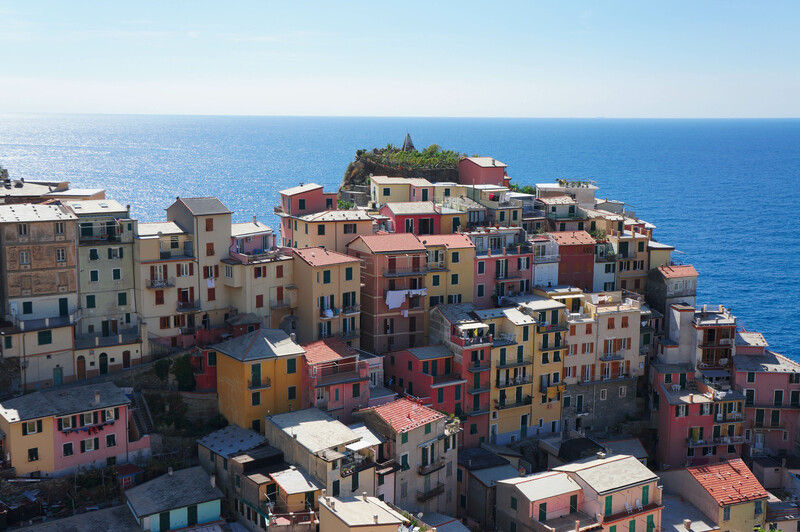 V and I LOVE to travel and last year as part of our Italian adventure we had the pleasure of visiting the Cinque Terre. I have to admit, before our departure I wasn’t as excited to see this collection of port towns and wanted rather to go to the Amalfi coast… but since the rest of the trip was going to be in the northern part of the country, this fit much better in our itinerary… Wow, am I glad V decided on exploring this costal treasure box. I can honestly say, the Cinque Terre is extraordinarily beautiful and unlike any place we have explored before. Just looking at our pictures makes me want to go back again. Hopefully this post will also inspire you to make the journey sometime soon! Using the local train system, you can visit all the towns, and it is possible to hike among all five towns in one day. Vernazza, considered by many to be the prettiest of these tiny villages, was badly damaged in the floods of 2012, as was Monterosso, but both have made big gains toward recovery, with Monterosso leading the way in terms of repairs and re-openings. Cinque Terre vineyards are planted on steep slopes, close enough to the sea that the spray form the breaking waves forms a fine mist over the vines. One can hike amongst them easily.